Apr. 8, 2019 4:44 p.m. 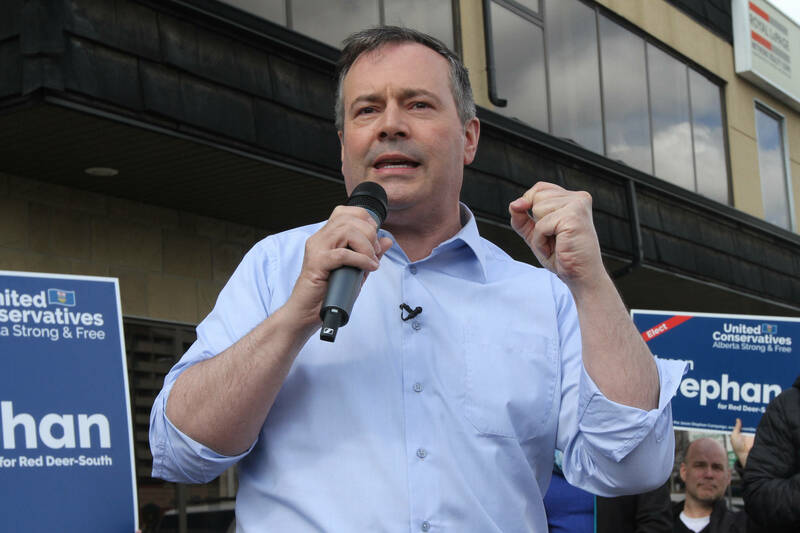 The political storm that is raging in Alberta right now is probably at its peak as the day of the election looms closer. No doubt, it is the subject of many after supper discussions and one can be sure that many voters are sitting in front of their television as candidates jump right into their home via the big screen to paint a bright political future for them. Maybe, sometimes they would be better to just save their breath as the voters have already made up their minds. In some cases, today’s voters are simply following the well etched pattern of thought laid out by their grandparents and their parents before them. On the other hand, it is true that your chosen career will definitely play a major role in determining what party you cast your ballot for. The other day I was lucky enough to have coffee with my two teenage grandchildren. I felt completely out of place with them, these blue-jeaned, cool, confident kids, who seemed so grown up and yet so not. It’s like they are somehow perched precariously on the edge of adulthood, hovering between knowing everything and being so very innocently naive. But, needless to say, I was very proud to hang out with them and for just a fleeting moment in time, step into their world. My grandkids are not old enough to vote, but they certainly are old enough to talk about the election and the candidates and voice their opinion. My daughter, who is a teacher, has very serious opinions about who to vote for, which she voiced during our coffee. And she told me, in no uncertain terms, who I should vote for, or to be more exact, who I should not vote for. Her daughter, raised her beautiful blue green eyes from her text message long enough to silence her mom with a stare. “Mom, you can’t tell grandma who to vote for,” she said, sternly. I smiled and said nothing, but I was very much enjoying the interaction between mother and daughter. That could have been me, so many years ago, caught in my daughter’s reprimanding stare, I thought, reflectively. “Actually, years ago, women didn’t even have the vote,” I said. “What,” my granddaughter said, incredulously. “That’s just plain silly and wrong.” She went back to her texting. The talk shifted to music and the latest tunes that are popular on the radio and finally to going home. The next day dawned bright and clear and beautiful and once again I was lucky enough to hang out with the next generation of family members who range in age from four to 12. They played catch on the beach, while the ice on the lake fought for control against the sun and wind and then they all trooped down for ice cream, compliments of grandma. It was a day where spring, happy and bright and full of sunshine, came out and played with us for a little bit before slipping back into the shadows. It was quiet and good and peaceful. It was like we were in the eye of the storm. But, today the political battle will rage on. There is such a short time before the provincial election and the campaign trail is short. As voters, it is important to think and re-think the issues and not be swayed by the power of the word. And when the dye is cast and the final vote tallied, to remember that, we, the people have spoken. I wonder what we will say!